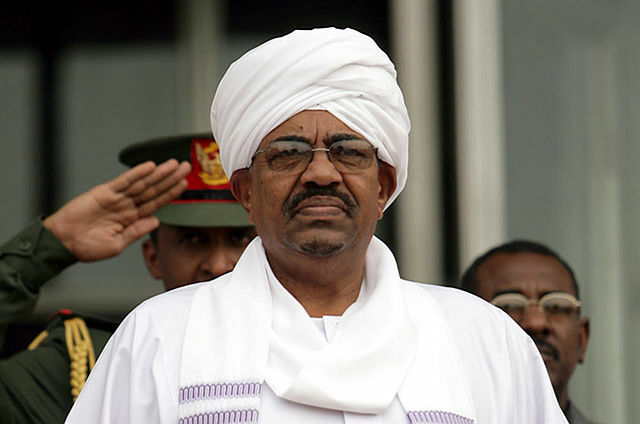 Dehai News -- EastAfricaMonitor.com: Could violent protests in Sudan topple Bashir? EastAfricaMonitor.com: Could violent protests in Sudan topple Bashir? Over the past two weeks, Sudan has been gripped by anti-governmental protests with security forces opening fire on crowds with live ammunition on multiple occasions. The Sudanese government says at least 19 people have been killed in protest violence but Amnesty International puts the death toll at 37 and more than 200 injured. Calls for President Omar al-Bashir to resign are intensifying with 22 political groups demanding he steps down, in addition to growing calls from demonstrators and opposition supporters. Analysts say ongoing protests are the biggest threat to Bashir’s since his iron-fist regime began in 1989. Government officials blame the protests on “infiltrators” but, even if anyone believed those claims to begin with, they no longer hold water with so many political groups now calling for an end to Bashir’s regime. But, even with this much pressure on the long-serving president, could the current crisis really turn into something that instigates regime change in Sudan? What’s behind the protests in Sudan? The main source of anger fuelling recent protests in Sudan was the government’s decision to increase the price of bread from one Sudanese pound to three per loaf. However, steep inflation rises, declining value of the Sudanese pound and fuel shortages are among the other economic factors putting a squeeze on daily life in the country. People complain of ATMs having no cash and banks sending people away with less money than they need to make it through the day. The poorest are being hit hardest by Sudan’s economic crisis and the government is being accused of punishing those in need with price increases. President Bashir has promised economic improvements in 2019 but the violent clampdowns on recent protests have only added to anger against the government. What started out as protests against economic factors has expanded into aggressive anti-government protests and demands for the president to step aside. Will the pressure force Bashir to step down? Multiple analysts have said the current situation in Sudan is the biggest threat to Bashir’s presidency during his 30-year rule. Speaking to AFP, senior fellow at Harvard University, Eric Reeves – who has been monitoring Sudan’s political and economic situation for two decades – says Bashir has never faced so much internal pressure and there are no easy answers to the economic crisis that initially fuelled protests. Sudan has never recovered from losing three-quarters of its oil supply when South Sudan seceded to become an independent nation. Internal conflicts, a failure to boost agriculture and sanctions placed against the country over human rights abuses and accusations of genocide have only contributed to Sudan’s economic plight. Reeves says the country’s economy has been collapsing for almost a decade now and the government’s measures have only delayed the inevitable. Sudan is now at breaking point and Bashir’s promise of improvements in 2019 will struggle to convince at this stage. Things are so bad now that even middle and lower ranking military officers are appalled at the current economic and political situation, Reeves told AFP. Bashir’s list of supporters is starting to look thin very quickly and his defiance appears less resolute with every statement he makes. It’s still difficult to see how a man wanted by the ICC for so many years for grave human rights violations is going to simply give in to public demands. However, Sudan is increasingly approaching an impasse where something will have to give and the question of how long Bashir can hold on to power is becoming difficult to answer.